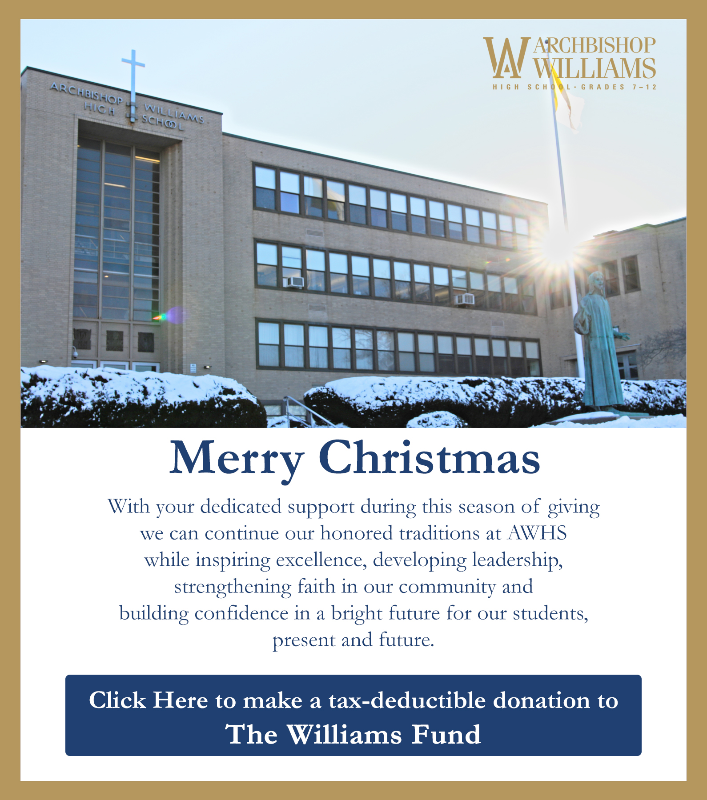 The Class Agent Challenge is a friendly competition to support the Williams Fund (The Annual Fund for Archbishop Williams High School). Each class competes against one another for total amount of money raised and participation percentage for each fiscal year. These winning classes will have their class year listed on a street sign at both the entrance and exit of the school. They will remain there until next year’s Class Agent Challenge winners are announced. Congratulations to last year’s Winners!